Everything about this bike speaks to its comfort and ease of use. Everything about this bike speaks to its comfort and ease of use. 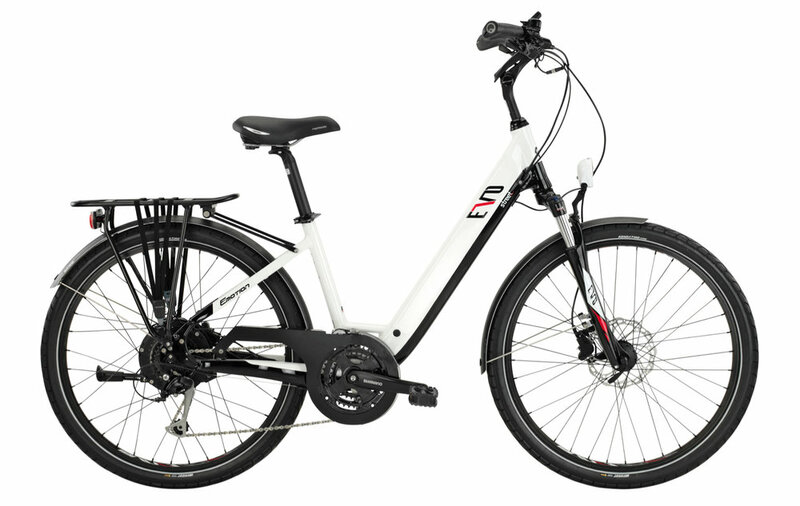 A super-accessible low-step frame, upright riding position, suspension fork and high-volume tires deliver the comfort, while the pedal-assist or throttle-activated rear hub motor provide ample boost for accelerating or hill climbing when needed. A cleverly integrated down-tube battery allows this bike to have more range than most riders will ever need.